How can I know whether a disk is a solid-state drive (SSD) or hard disk? Is there a way to check if I have a SSD or HDD without having to open the laptop itself to see what’s inside it? 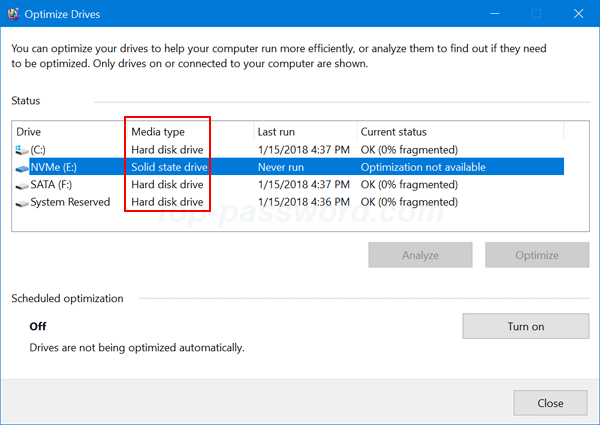 Here are 2 easy methods to find if your drive is SSD or HDD in Windows 10/8/7, without using third-party software. 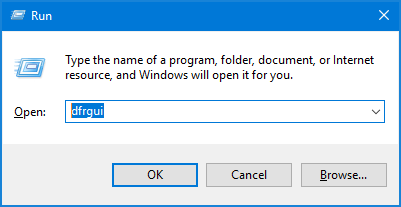 Simply press the Windows key + R keyboard shortcut to open the Run box, type dfrgui and press Enter. When the Disk Defragmenter window is shown, look for the Media type column and you can find out which drive is solid state drive (SSD), and which one is hard disk drive (HDD). The command will list all physical disks connected to your computer. The MediaType parameter can help you identify what type is your disk drive, HDD or SSD.